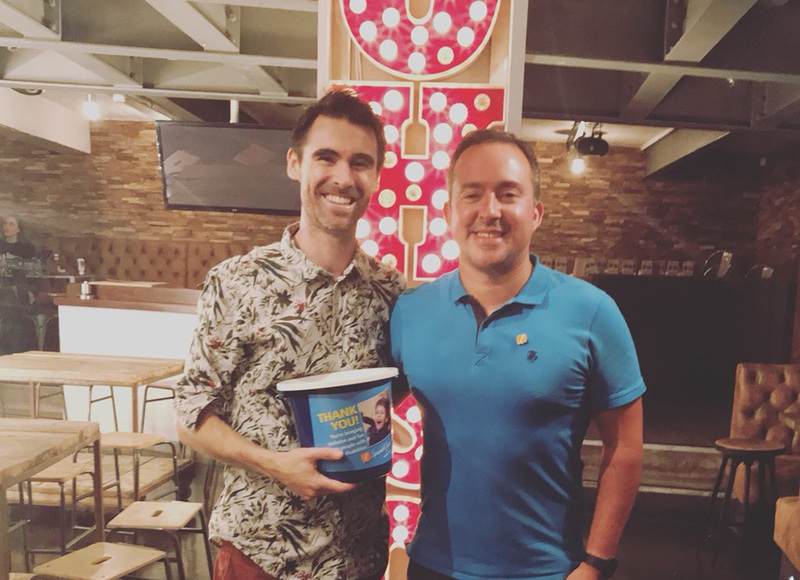 Back in July 2016 our amazing Ambassador Simon Barratt held his traditional end of event party at the Develop Conference (which also doubles as his birthday party) and raised £4,000 for One Special Day, which included him getting his legs waxed for donations! Although the date of One Special Day has moved to September, an annual tradition is an annual tradition, and the funds raised at his Develop party on 12 July 2018 kicked of our fundraising campaign yet again. This year Simon and all the generous donors (including £500 from BossAlien) mean that over £4,000 was raised from the raffle and donations. Thank you as always to Simon and all the amazing people who are part of the event. Here’s Tom Donegan from the charity with Simon before the festivities began. Oh, and you can still donate a penny or two here!